Your Personal Pool to take a Dip of Joy. it unfolds its true colours. Feel pampered with our soul-soothing comforts. Living in the concrete jungle has made us ignorant to some of the best things our planet has to offer. We know the noises but are unaware of the whisperings of the nature. Yes, nature has a way of conversing with us, unbelievable isn’t it? 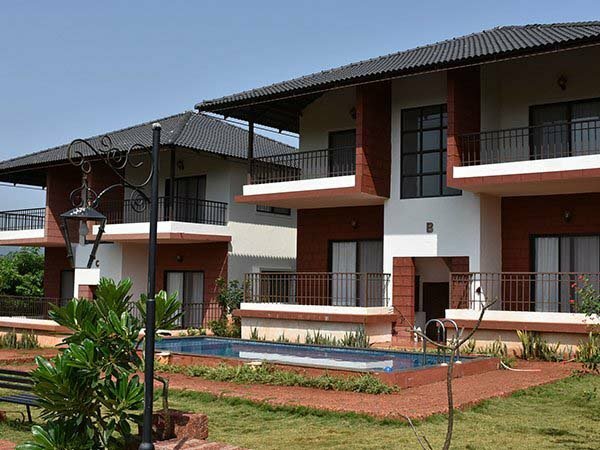 Welcome to Forest Escapes Resort at Koyna Nagar. It is a world where speechless moments and awesome experience unveils a new excitement every hour of the day. It is here you will explore the unexplored beauty of nature. And yes, nature is ever willing to converse with you. Rustling leaves playing with the refreshing winds and the birds dancing to the tune of nature. 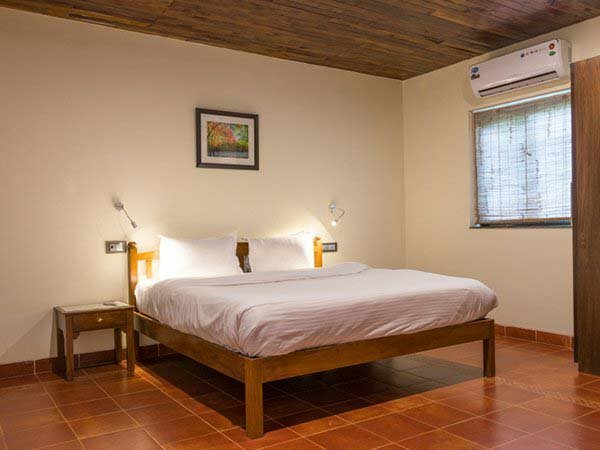 At Forest Escapes Resort, your imagination comes alive. The peace and the lush green covered Sahayadri hills will not just offer you soothing moments but will recharge your mind, body and soul. 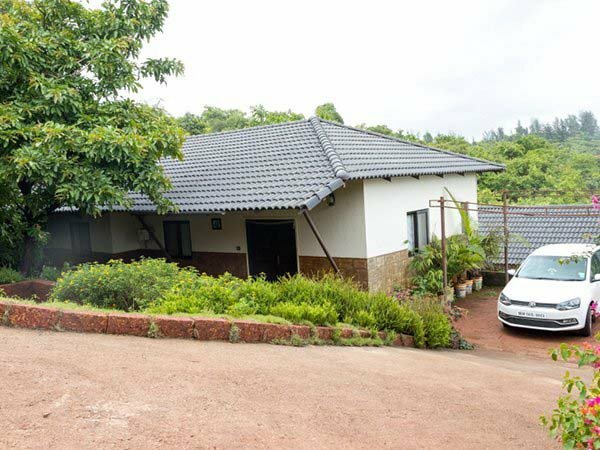 Forest Escapes is nestled amidst the Koyna Wildlife Scantuary….A UNESCO World Heritage site. 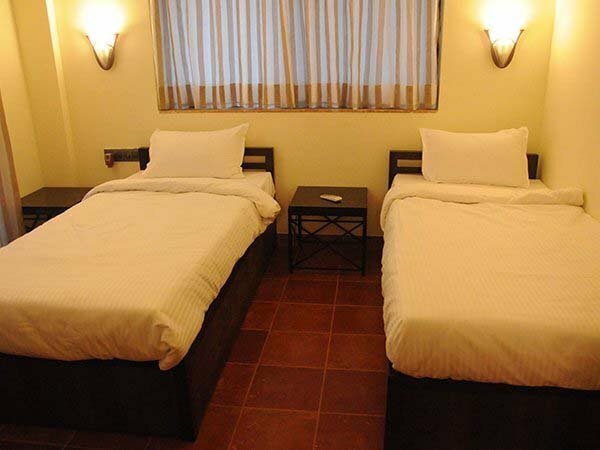 Here, you will cherish the unimaginable moments of your vacation in reality. 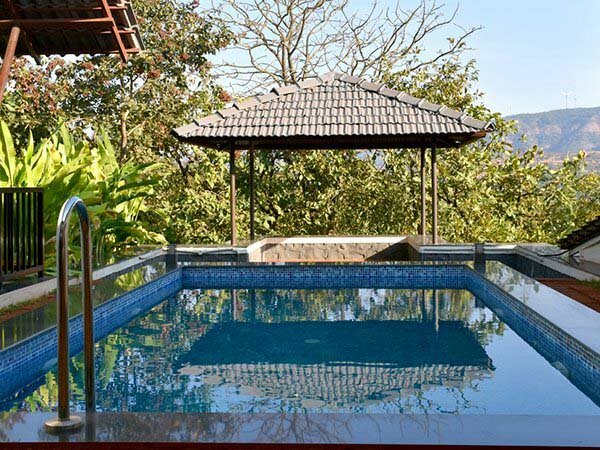 We invite you to Forest Escapes Resort for a tête-à-tête with nature..
KOYNA - A place where life flows in its most powerful glory! 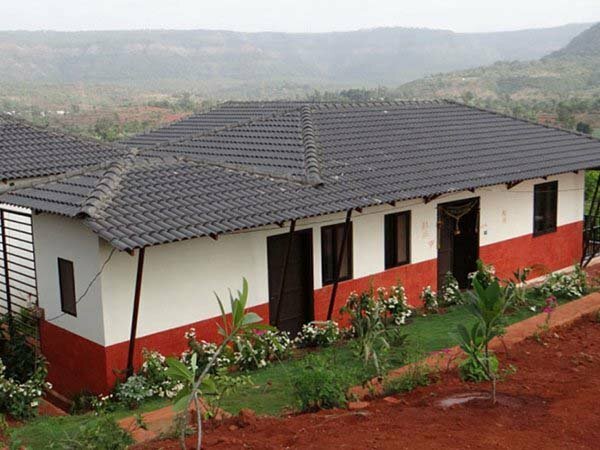 Koynanagar is a discreet hill station located in the Patan Taluka of Satara district in Maharashtra and is set in the stunningly beautiful Sahyadri mountain ranges of the Western Ghats. 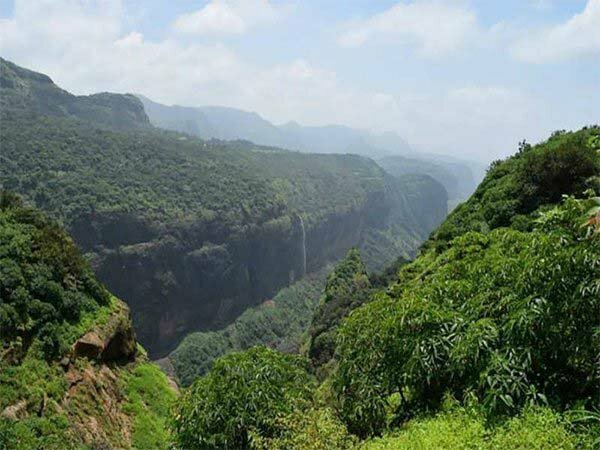 The region is a part of the UNESCO World Network of Biosphere Reserves in India and Koynas's evergreen forests mark the transition zone between the Deccan plateau and the Konkan. 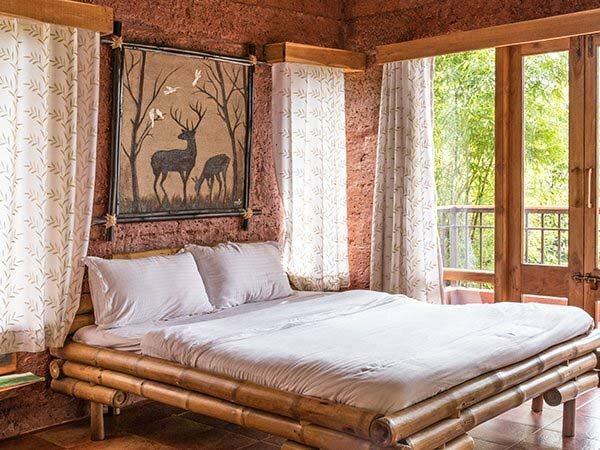 The serene ambience, sometimes interrupted by the resonating sound of wild animals and birds, sited far from the dirt and grime of the city, with cool and fresh air, rejuvenates your soul and senses. 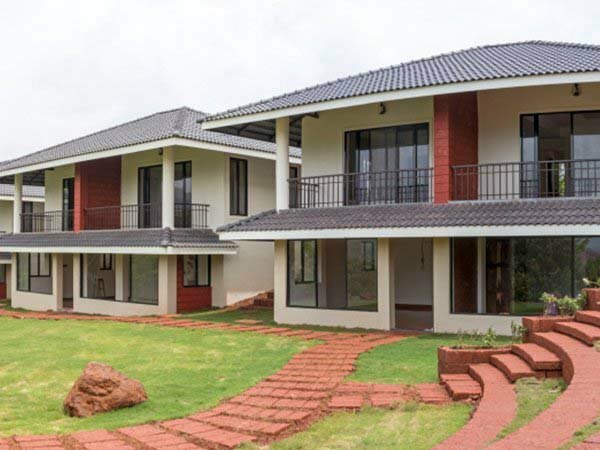 Koyna with a pollution free atmosphere is a relatively upcoming hillstation and is less exploited than the overcrowded hill stations of Mahabaleshwar and Panchgani. 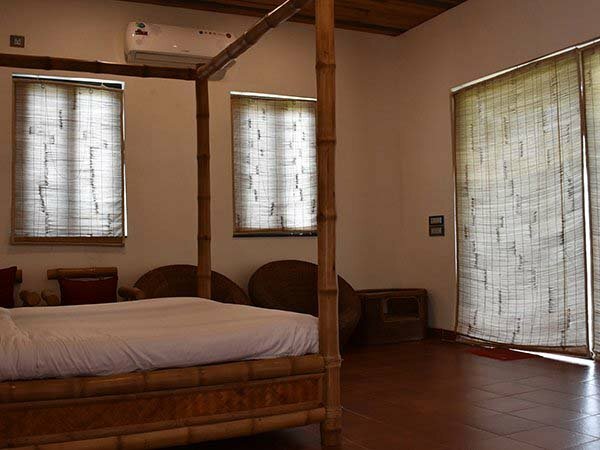 it is perfect getaway for those seeking a natural retreat away from stress and strain of city life . Take a dip of joy in a beautifully planned Infinity Pool. Recharge your mind, body and soul at LiRa’s Spa. 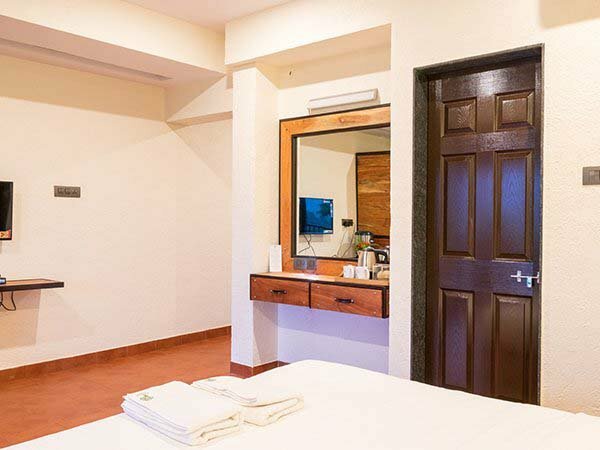 At Forest Escapes, we have variety of Ayurveda massage and beauty service to relax and rejuvenate you. 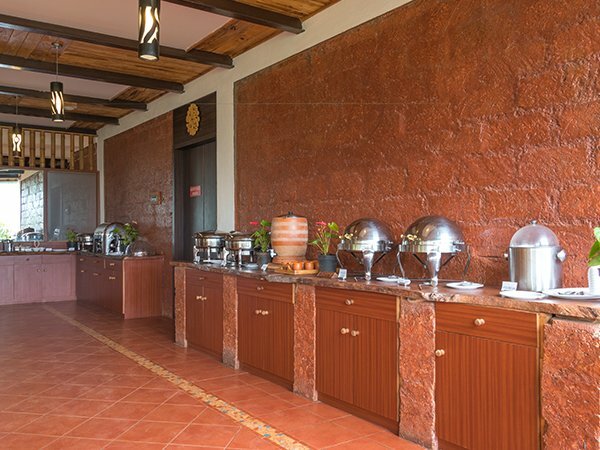 Explore the Taste of Authentic Maharashtrian Cuisine at Forest Escapes. The tantalizing delicacies are prepared by local women and every delicacy is loaded with pure local flavors. Forest Escapes offers loads of excitement and joy to your little ones too. 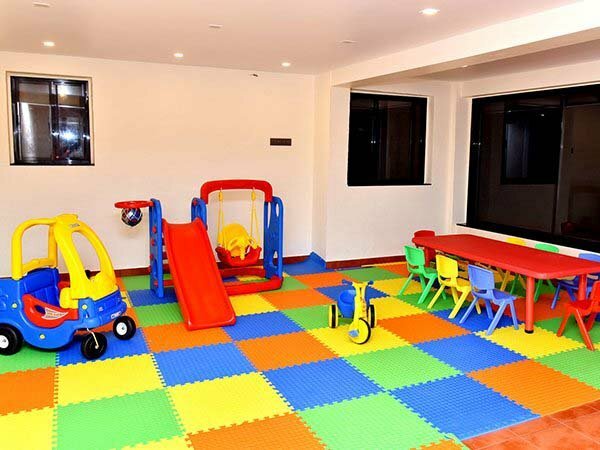 Well planned and fully equipped Children’s Play Area is a perfect treat for children to have a blast of a time. 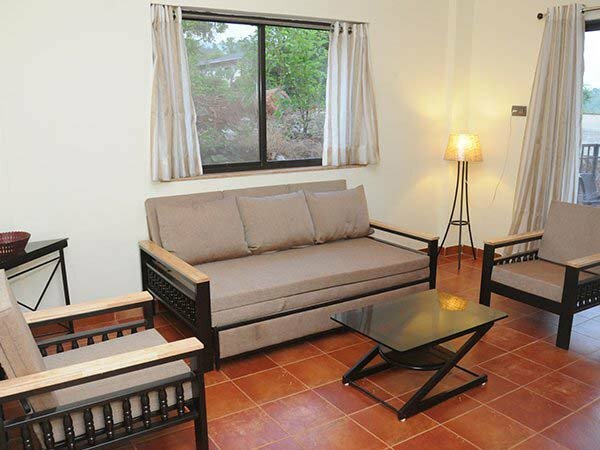 Celebrate every occasion of life at Forest Escapes. Our banquet Hall is ever ready to make your every get-together a moment to remember. Enjoy the life performances in the open and refreshing environment. 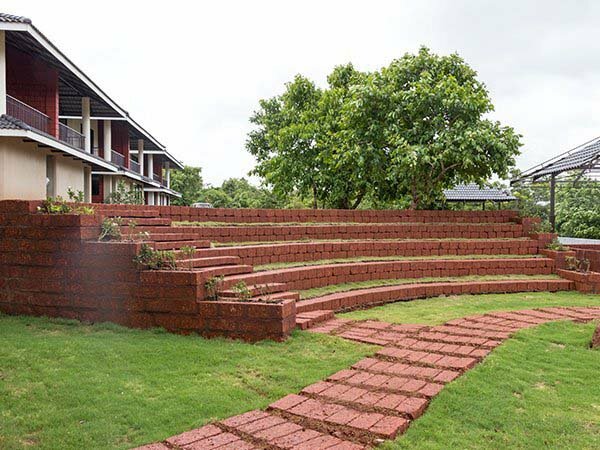 At Forest Escapes, we have artistically planned Amphitheatre for you to enjoy fun-filled moments. 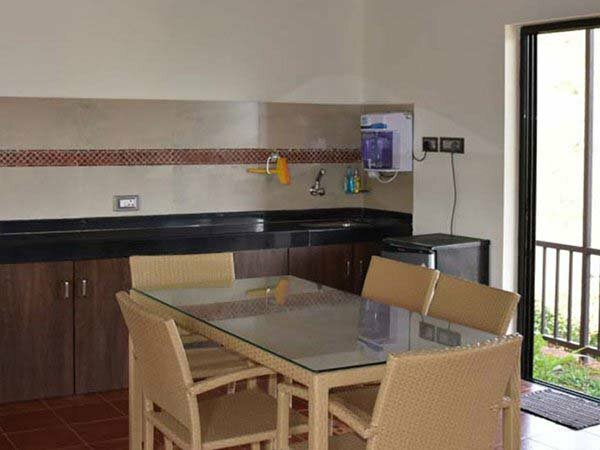 Live like royals at the Two Bedroom Pool Villa with lavish living and dining area. 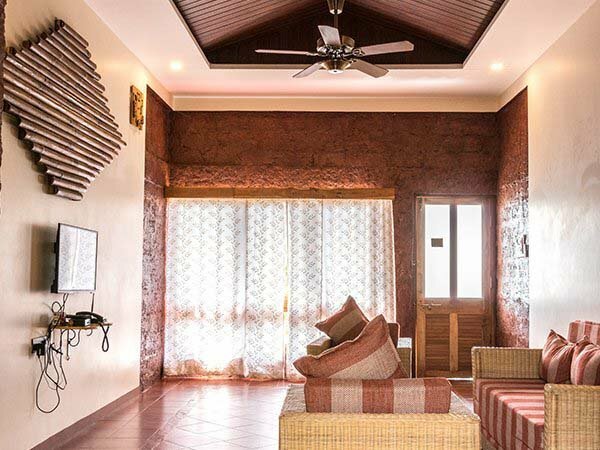 The Pool Villa offers two palatial bedrooms with huge sit-outs overlooking nature and your own personal swimming pool and BBQ area. 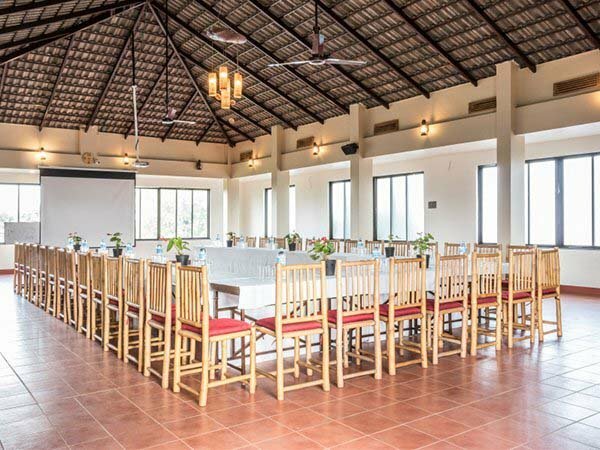 The Villa is perfectly suitable for family and large groups. 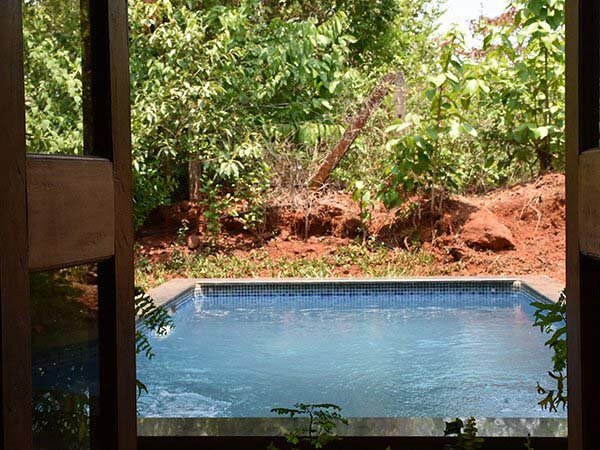 The Two Bedroom Pool Cottage is awesomely created with Laterite Stone and Teak Wood. Even the Bathrooms are beautifully built besides the Open to Sky Pool. 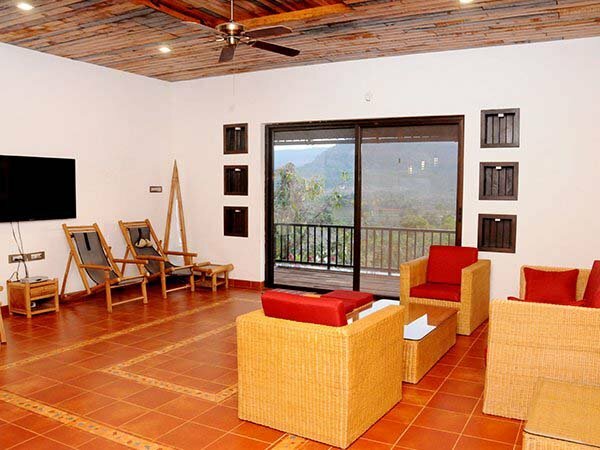 The Villa is perfectly suitable for honeymooners, family and small groups. 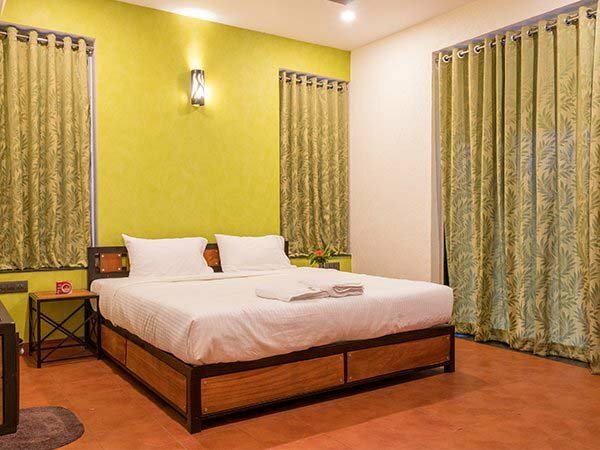 Making your stay comfortable, at Forest Escapes Resort each Deluxe room has a large balcony with views of the Infinity swimming pool and the Sahyadri Mountains, perfect for young couples and nature enthusiastic looking for a comfortable stay. Explore the Taste of Authentic Maharashtrian Cuisine Take your taste buds real high with our authentic rural Maharashtrian platter. 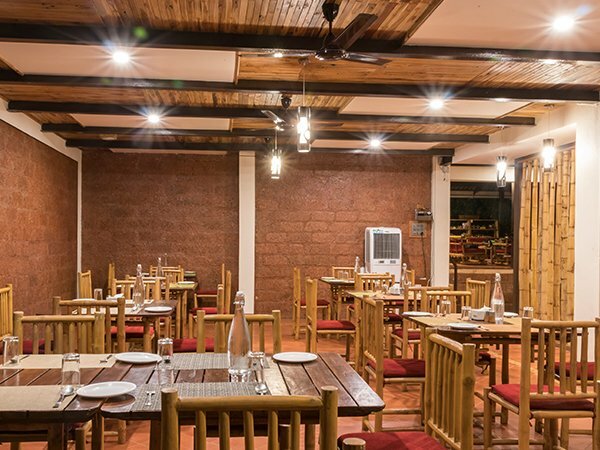 Our restaurant serves an elaborate buffet of piping hot Regional Maharashtrian cuisine. 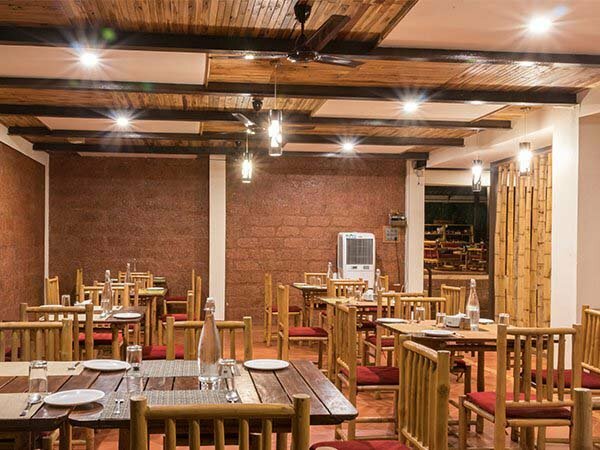 The tantalizing delicacies are prepared by local women and every delicacy is loaded with pure local flavours.Tastefully designed, our open -sided dining area lets the outdoors indoors. 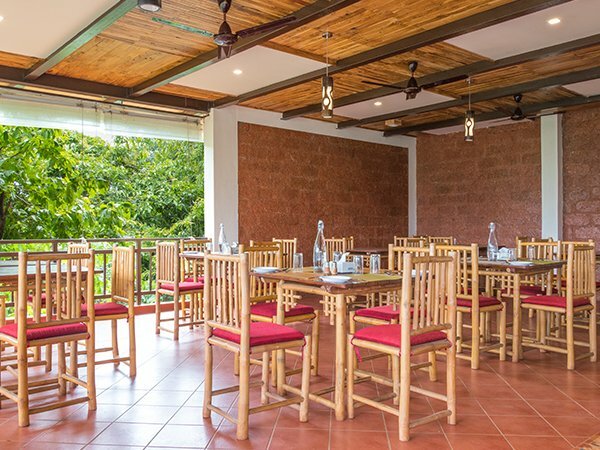 Indulge in the breathtaking view of the mountain ranges while enjoying your meals, make friends with the birds and squirrels that visit you for breakfast. 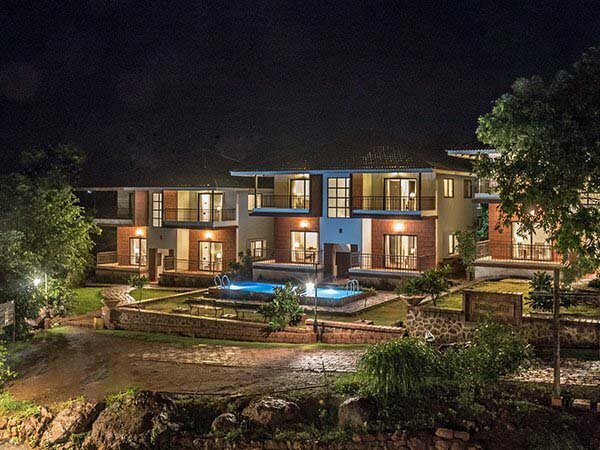 We have special romantic dining experiences – in the warm intimacy of our room; by the pool, or even a picnic lunch after a jeep safari in the mountains… Take your pick, … or suggest one of your own… all you have to do is to stir in the romance. 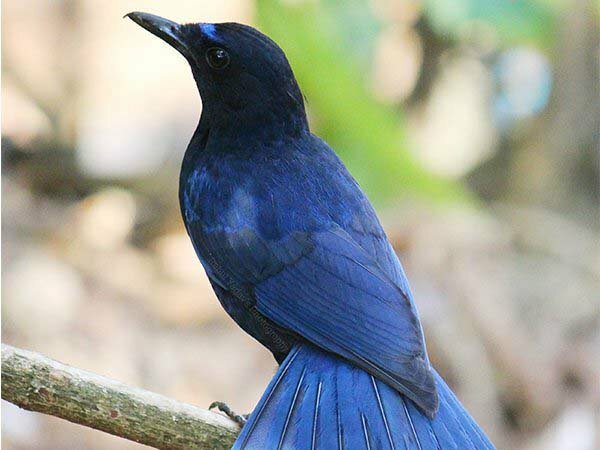 Forest Escapes is surrounded with dense forest here, you will explore variety of birds migrating from across the globe. 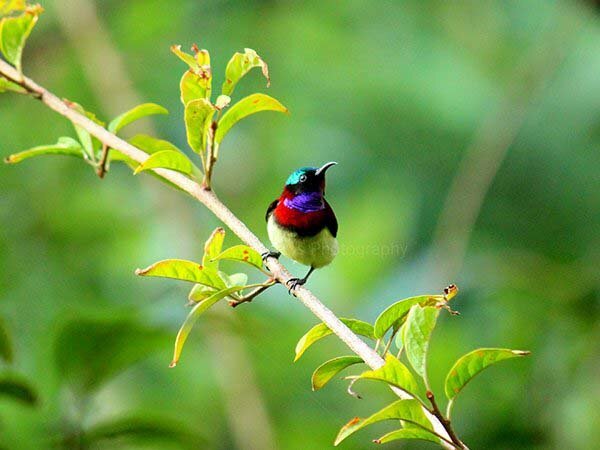 It is definitely a paradise for bird lovers. Talk to stars and know the tale of their twinkle. 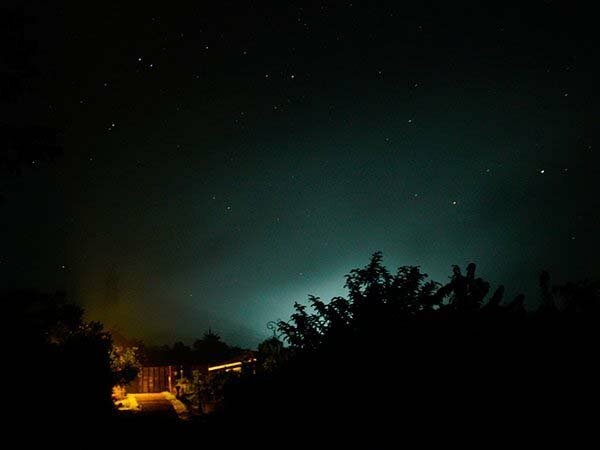 At Forest Escapes, we have for you a fully planned and equipped place for Stargazing. 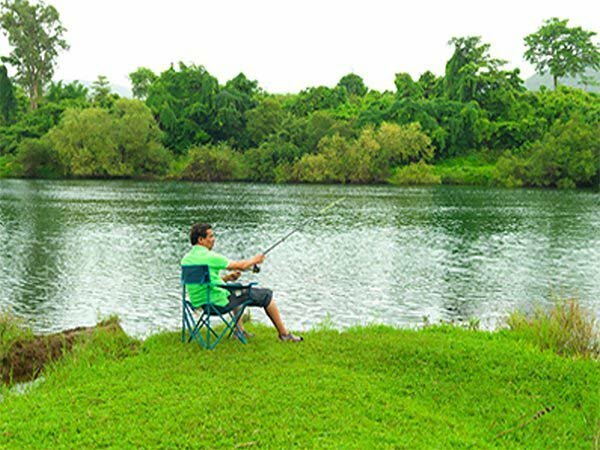 Go fishing at the Koyna River. Crystal clear water with refreshing environment gives you every reason to enjoy every moment of fishing. 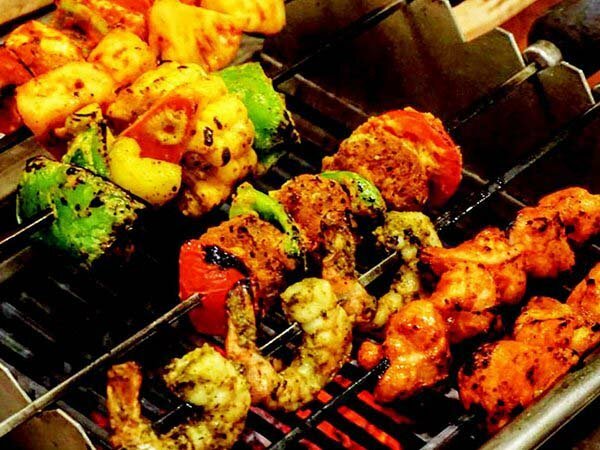 Enjoy the grilling moments at Forest Escapes.you can make your own Barbeque in a passionately build barbeque set-up. 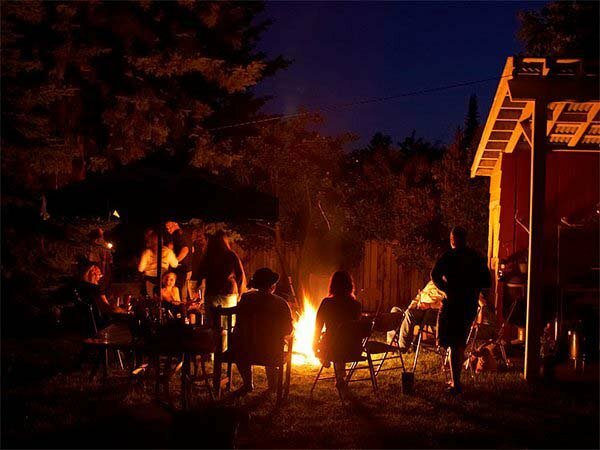 Feel the thrill of the night along with your gang at the Camp Fire. We have a wonderful place. Explore the forest trail or create your own path. Ay Forest Escapes there are hosts of activities to keep busy and active. 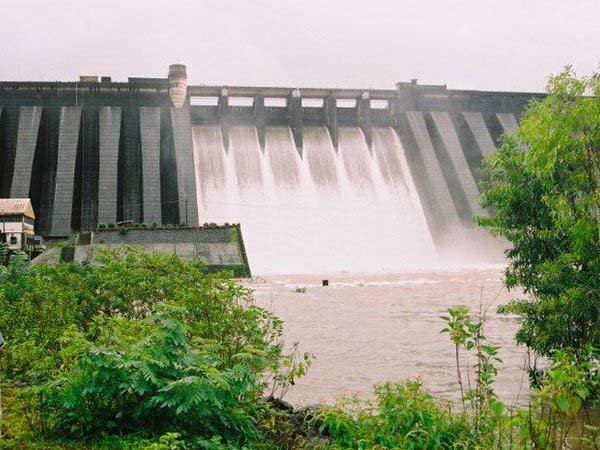 The Koyna Dam is one of the largest dams in Maharashtra. Constructed onKoyna River near Mahabaleshwar. 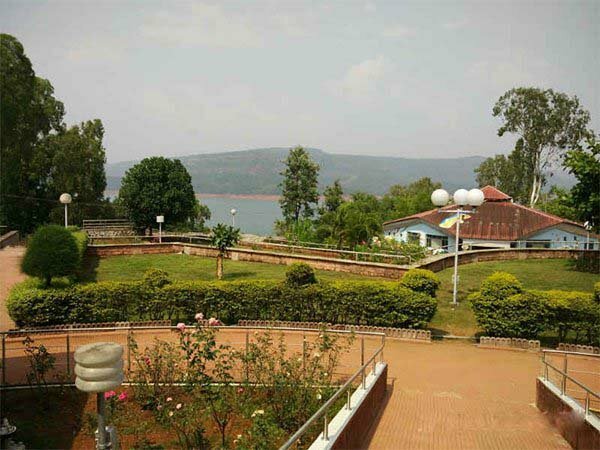 Koyna Dam is famous for its breath-taking view and natural surroundings. 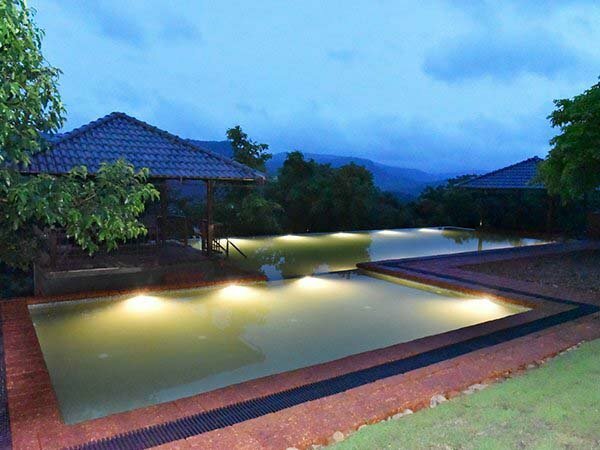 Koyna Wildlife Sanctuary is a Natural World Heritage Site, which is located inSatara district of the Indianstate of Maharashtra. 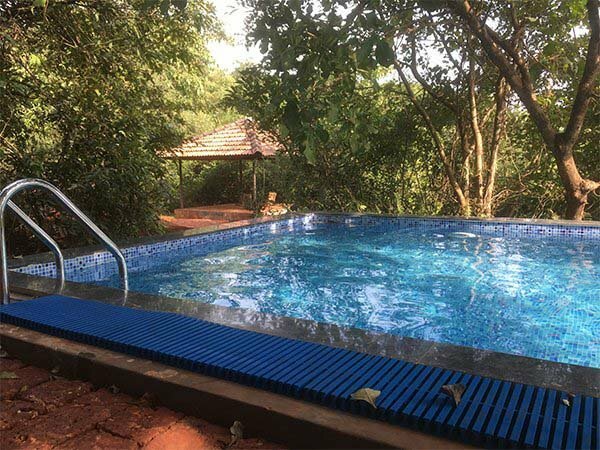 The sanctuary is nested in the Western Ghats, It forms the northern portion of the Sahyadri Tiger Reserve, with Chandoli National Park forming the southern part of the reserve. Bhairavgad is located in the Koynanagar, which is now part of Sahyadri Tiger Reserve. 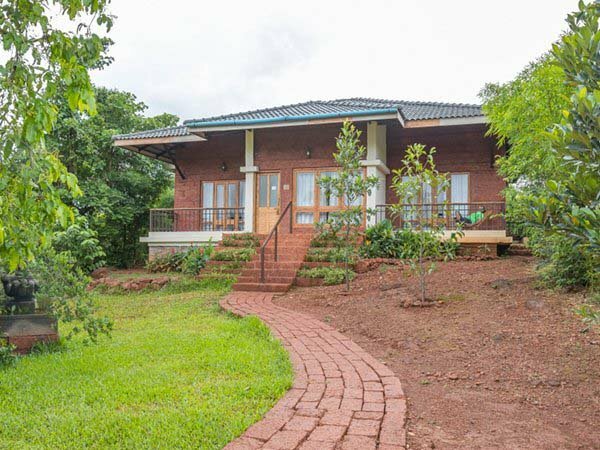 The forest around this fort acts like a wildlife corridor between Koyna and Chandoli forests. The Bhairav temple and Shivaji Maharaj Idol is huge attraction amongst the tourists. Shri Samarth has established Shriram Temple at Chafal in the year 1648, in the Chafal land which was blessed by Shri Ramdas Swami. 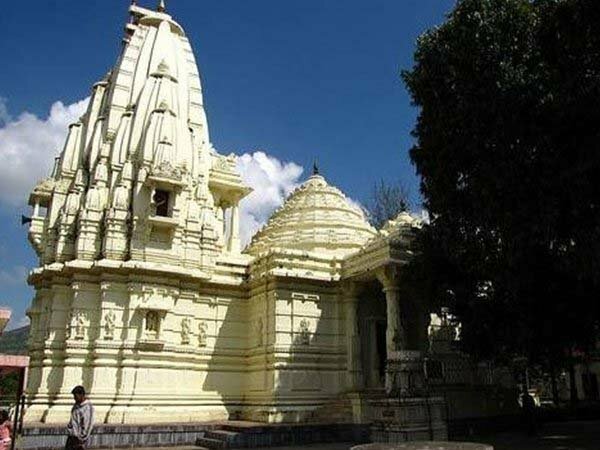 The massive Shriram temple at Chafal has become the seat of Shriram devotees across India. 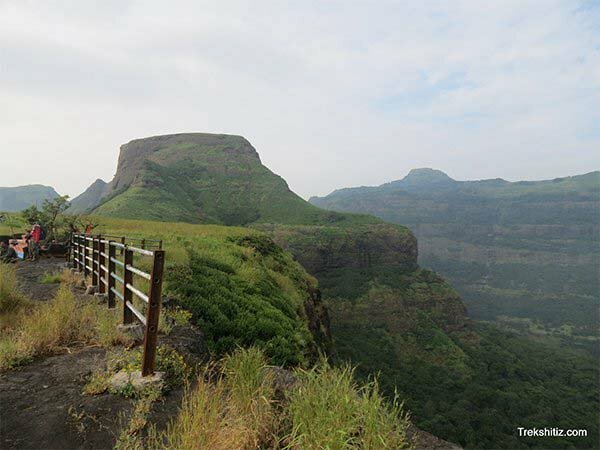 As the name indicates ghatmatha is the highest peak in Sahyadri Hills, This points connects kokan and Ghat. Cool breeze and Sunset point view are the attraction here. 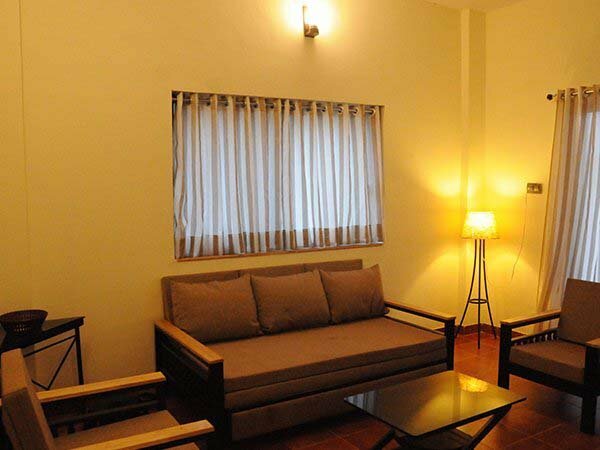 It is just 15 minutes away from Koynanagar. The Kaas Pathar or Kas Sadas is also known as the Plateau of flowers. 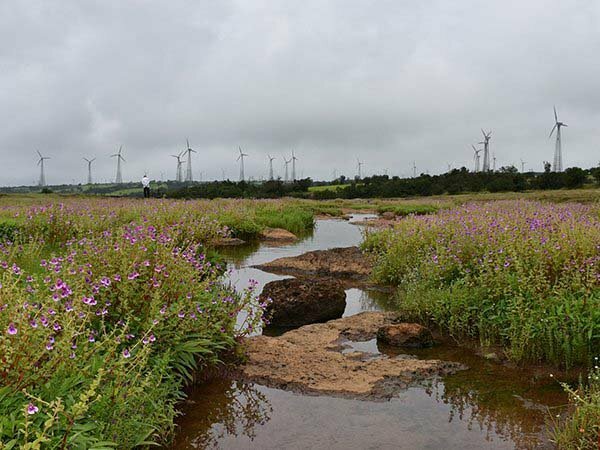 It is situated 25 kilometres west from Satara city in Maharashtra. It became part of a UNESCO World Natural Heritage Site in 2012. 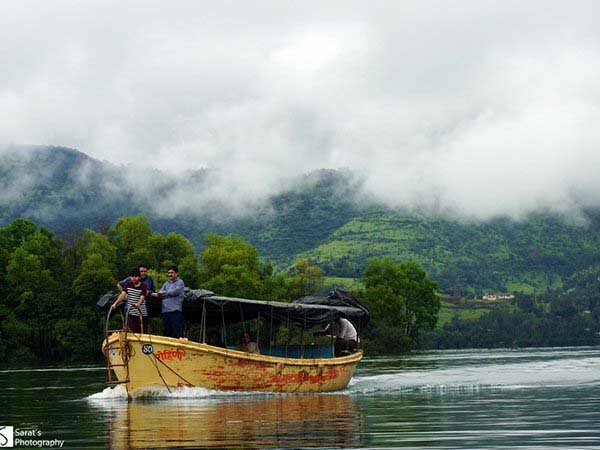 ShivSagar Lake is a huge lake in the koyna Dam. Boating facility is available in this lake. 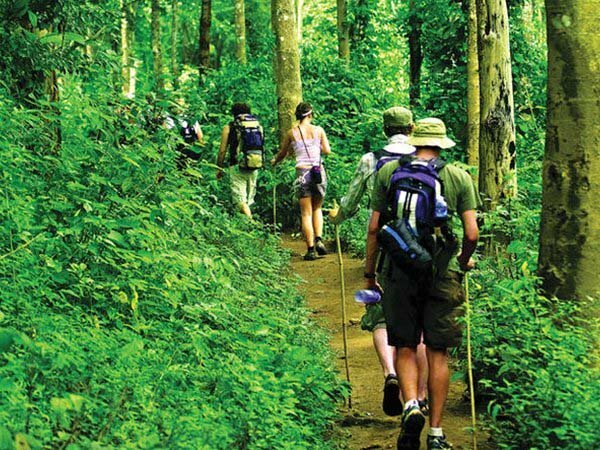 The Koyna wildlife sanctuary surrounding the lake is rich in flaura and fauna. During the boat ride one can sometimes spot wild animals like tiger, leopard and other wild animals. This is one of the biggest water falls in Sahayadri region. 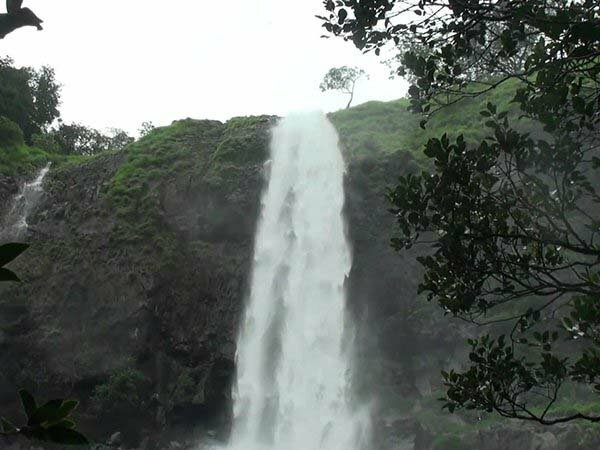 The water falls from 200 meter height and its beauty can be seen in monsoon as well as summer. One has to trek through dense vegetation to get near the waterfall. This garden is built in the memory of Late Pandit Jawaharlal Nehru, the first prime minster of independent India. This is one of the famous gardens in the western Maharashtra region. 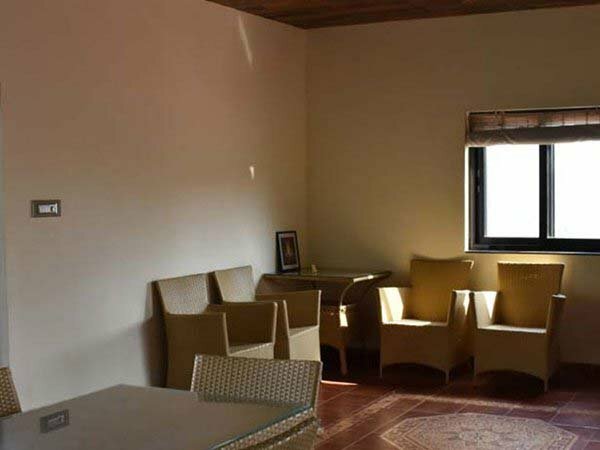 It has an audio video interpretation centre that gives information about the history of the Koyna Dam. To restore natural ecological balance we have done local tree plantation, minimum landscaping, natural terrain and natural vegetation on the campus. 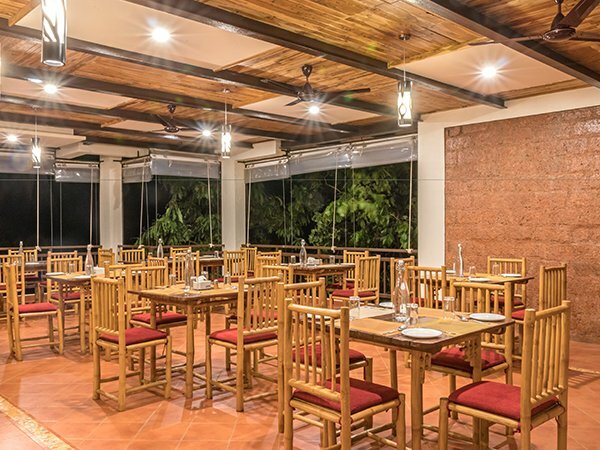 We Serve healthy food in the restaurant and make sure that all staff working in the resort are happy and satisfied. Use Of Diesel Generators is avoided We plan to install a 20kw solar Plant for our electricty needs.